WE ARE MOVING! As of Thursday 23rd August 2018 we will no longer have our office in The Polaroid Building. 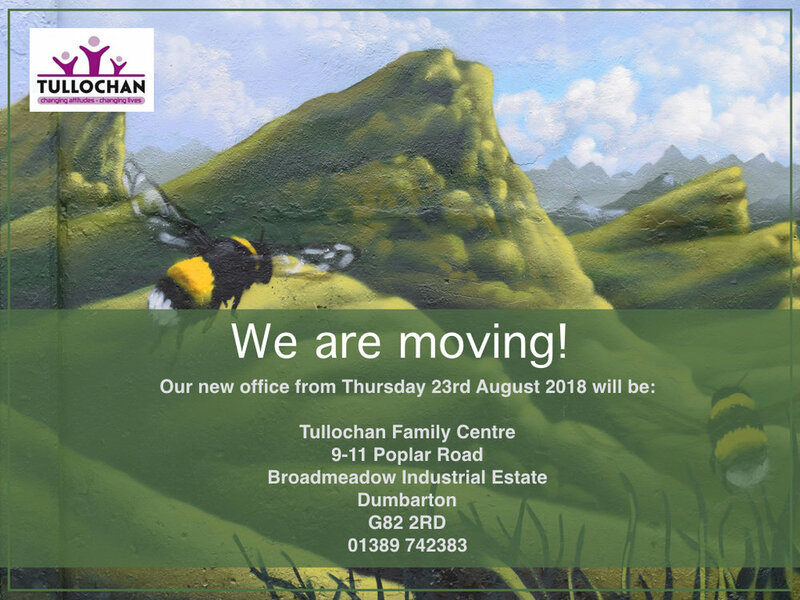 We will now be housed in our fantastic new Tullochan Family Centre, 9-11 Poplar Road Broadmeadow Industrial Estate Dumbarton G82 2RD 01389 742383. This is another exciting chapter for us and we can't wait to get moved and settled in!